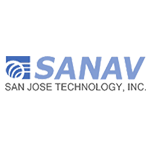 Sanav is a GPS / RF/ M2M hardware and solution manufacturer specializing in mobile and marine products, including GPS/GSM tracker, GPS receivers, AIS Transponder and varieties of antennas. Located in Taiwan, we commenced operations in 1990 with telecommunications technologies. Later in 1995, in cooperation with prominent GPS companies worldwide, we started technical interflows & research on GPS and RF technologies. The chart below shows the changes within the last 30 days in the number units of Sanav devices type are connected to Wialon Data Center.